Welcome to recipe #1 of my 12 Days of Christmas Cookies! Did you just get really excited? Or perhaps overwhelmed because 12 kinds of cookies is a lot of cookies? Or maybe really worried for my health and that I’ve turned into the cookie monster overnight? GOOD. I hope all of those feelings have flooded through your mind. First of all, you should definitely be excited. Christmas is the time for baking and bringing families together in the kitchen, making memories over confectionary adventures, and I hope you find a handful (maybe all 12?) 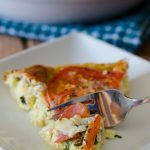 of recipes you’ve never tried before. Ok, so you’re overwhelmed with 12 kinds of cookies. Don’t be. Some of the cookies I have coming your way are classics that you’ve probably made before, so don’t fret. 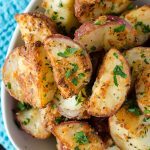 Many of them go beyond the Christmas season, so you can definitely carry over some of these recipes to 2016. THANK GOODNESS. You were worried, I know. Lastly, my health is just fine. Wanna know why? I’ve been working on these cookie recipes since, no lie, July. I actually made my little 12 Days of Christmas Cookies image after we got back from our first summer vacation right before the 4th of July. I started baking cookies in October to prepare for this wondrous occasion, allotting time for baking fails, combating the lack of daylight during the week, and allowing plenty of taste testing from my friends/family/coworkers in the event of tweaking. It’s been a glorious few months prepping for this. 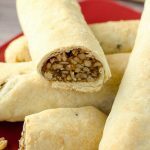 I’m kicking things off with a recipe that has been adapted from cookies that have been in my family for as long as I can remember. 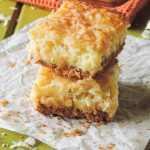 This recipe is the epitome of holiday nostalgia for me, and I have my mom to thank for that (thanks, Marm!). 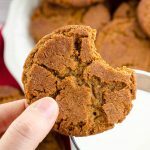 This cookie recipe is quite simple (some of the cookies in your future as a reader here are a little more time consuming), and it’s one that can surely grace your cookie jar any time of the year. 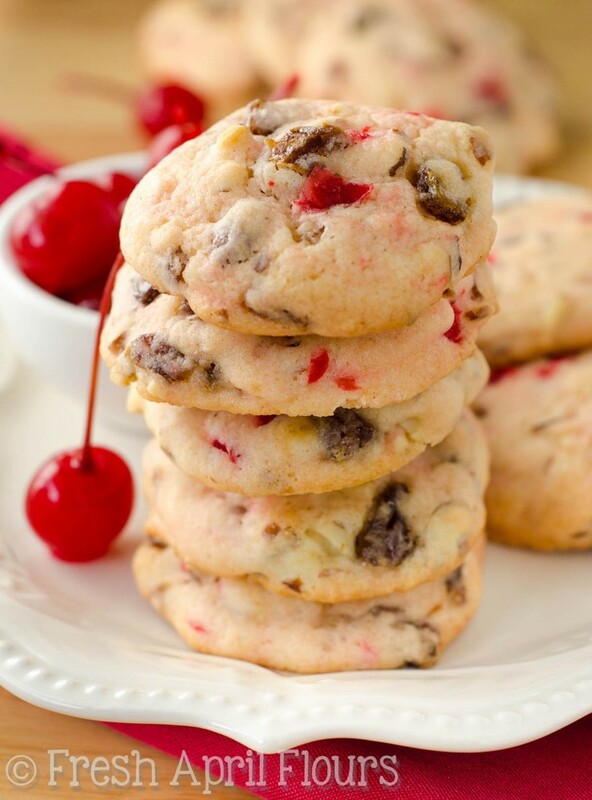 This recipe is adapted from Kellogg’s Cherry Dot Cookies. In the original recipe, Cornflakes are used as an outside coating for the cookies. 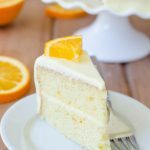 In true Marm form, however, the recipe she uses is simplified immensely by just throwing the Cornflakes into the dough. Wham, bam, thank you ma’am. Ain’t nobody got time for rolling with the first recipe in my cookie baking party! Let’s start out slow and work our way up to complicated (don’t get scared– I promise– this will be painless). 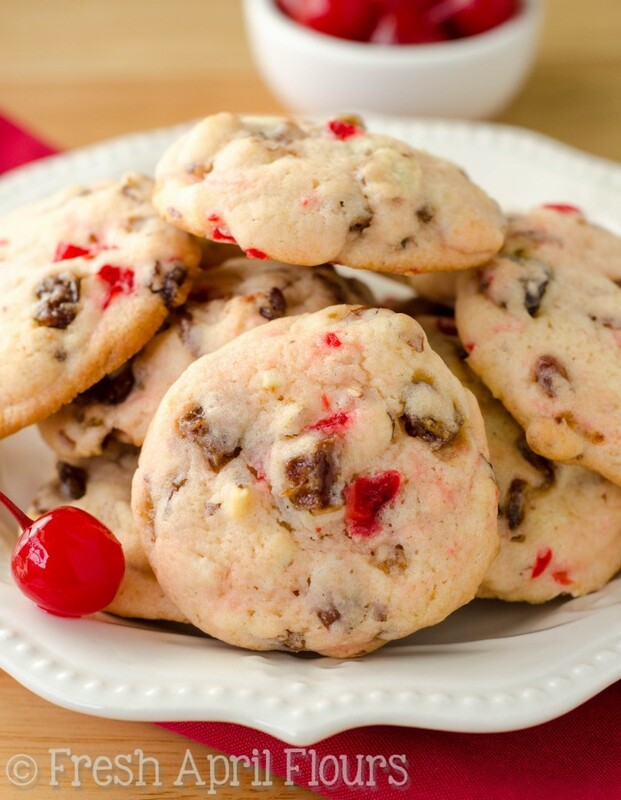 But the funny thing about these cookies is that I actually omitted the Cornflakes completely AND added a little something extra to make them my own (almond extract, because cherries + almond = ahhhhhmazing!). Marm can’t even believe it. Don’t worry, Marm… I will cherish your originals forever and likely make them alongside my version in the future. The honest to goodness truth is I bought a box of Cornflakes to make hers, made a batch, had a complete fail (I think my butter was too warm, the cookies were spread city), and then proceeded to eat the Cornflakes bowl by bowl until, oops, no more Cornflakes left. So… Feel free to crush some up and add them to the cookies if you’d like. Marm would like an invitation to come taste test, I’m sure. 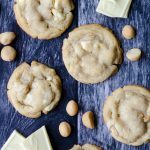 Like I’ve mentioned, I wanted to bring you this cookie recipe first because it’s so easy: no intricate steps, nothing fancy, and only a little bit of hands-off time while the dough chills in the refrigerator. This is a one bowl, easy peasy recipe, and the cookies only spend about 13 minutes in the oven. Plus, less words for you to read (do you really read??) and more time available for that family bonding I spoke about. I guess there is one ingredient that’s a little strange, and that’s chopped dates. Have you used dates in cooking/baking before? 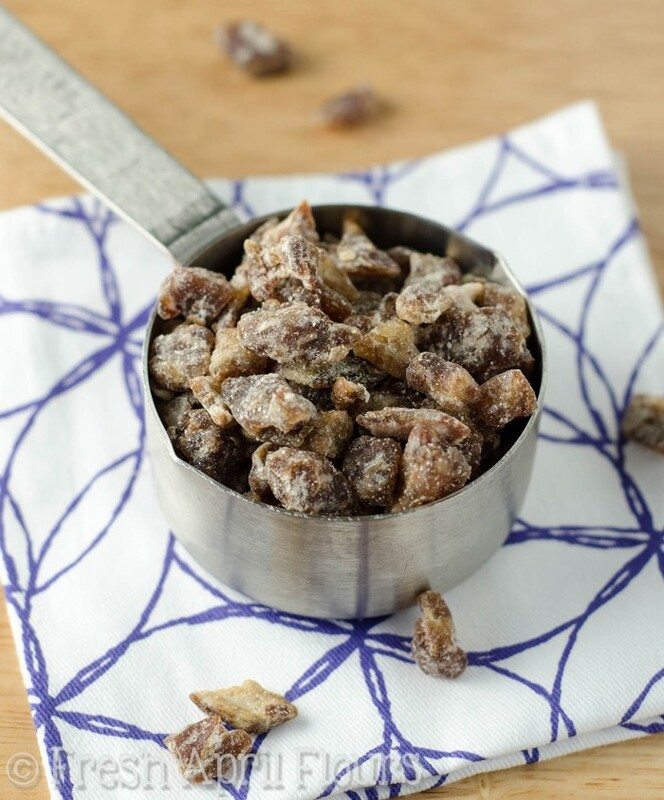 They are so perfect for adding to cookies– they’re dense, a little chewy, and full of robust flavor. 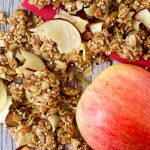 It’s kind of like the addition of molasses to my favorite oatmeal cookies. A specific kind of sweetness that can only come from a specific ingredient. We’re also adding slivered almonds, because they fit so nicely into cookies. 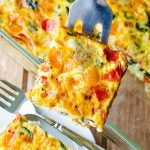 Thin, crispy, and adding the perfect crunch. Put all of these glorious ingredients together and the resulting cookie? 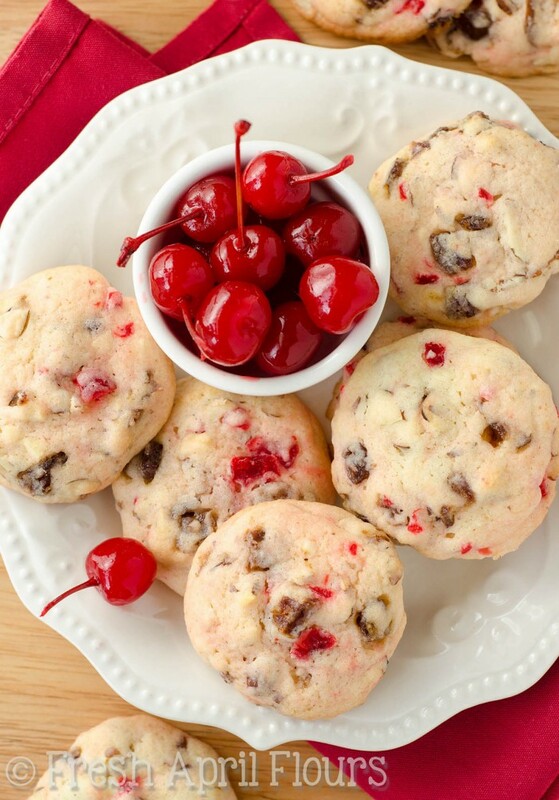 A soft-centered, nutty cookie, dotted with sweet cherries and chewy bits of dates. Funny story about these cookies: they magically disappear. I’m not sure how, but we went through all 18 of them in, oh, about 3 days. YIKES. The Christmas season is a total hall pass for eating cookies with/for any meal of the day, and since these cookies have 2 kinds of fruit in them, that’s even more of an excuse to have one with breakfast, yes? Just go extra hard at the gym, like we do. Thank you, cookie motivation. I hope you’re prepared for 11 more recipes for your cookie jars, cookie trays, and cookie exchanges. And if you’re not, get prepared quickly… Recipe #2 is comin’ atcha on Friday! 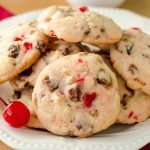 Soft-centered cookies filled with crunchy slivered almonds, sweet maraschino cherries, and chewy, flavorful dates. 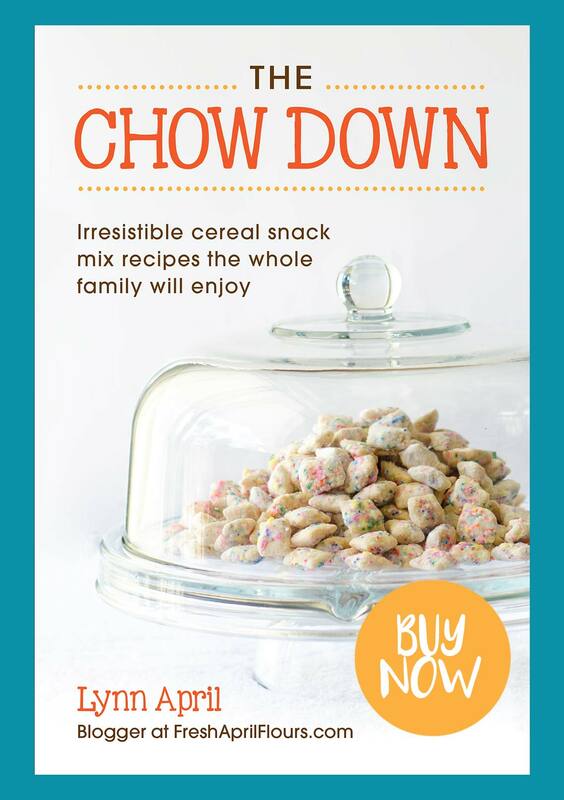 Perfect for your cookie jar any time of the year! In a medium size mixing bowl, toss together flour, baking powder and salt. Set aside. 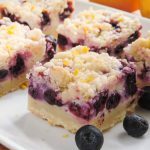 In a large bowl with a handheld mixer or the bowl of a stand mixer fitted with the paddle attachment, beat butter and sugar on medium-high until light and fluffy. Add egg and beat again. Add vanilla extract and almond extract and beat again until completely combined. Slowly add flour mixture and mix on low until dough comes together. Add the nuts and chopped dates and stir until completely combined. Add the chopped cherries and stir until evenly dispersed. 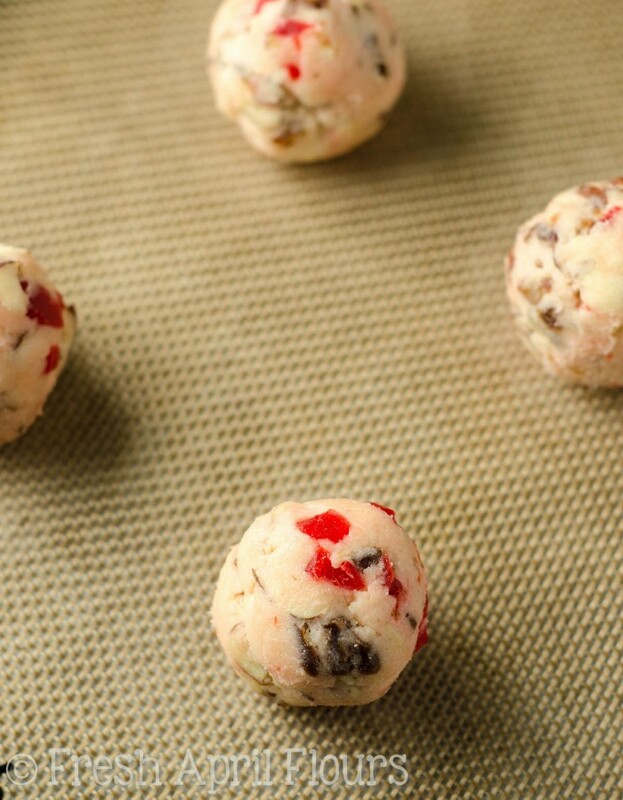 Cover and allow cookie dough to chill in the refrigerator at least 1 and 1/2 hours and up to 2 days. Preheat oven to 350°F. Line a baking sheet with parchment paper or a silicone baking mat. Set aside. 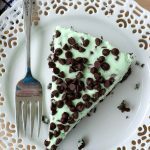 Using a cookie scoop or a Tablespoon measure, scoop dough and roll in your hands. Dough should not be very sticky. If it is, chill for an additional 15 minutes until it is chilled enough. Bake cookies for 13 minutes or until lightly browned on the edges. Allow to cool on baking sheet for 3 minutes before transferring to a wire rack to cool completely. Cookies will stay fresh stored in an airtight container at room temperature up to 1 week. Baked cookies freeze well, up to 3 months. Unbaked cookie dough freezes well, up to 3 months. Place on baking sheet frozen and add 1-2 minutes to the baking time. 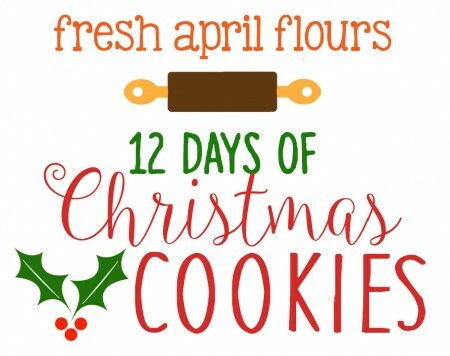 I AM SO EXCITED that 12 days of cookies is finally here! And WOWZA waht a recipe to start with. 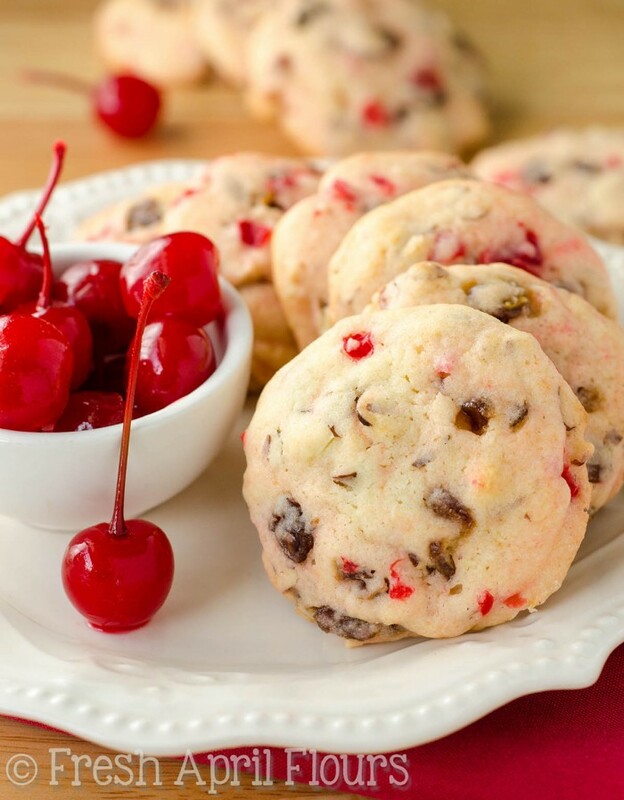 I’ve never, ever heard of adding maraschino cherries to cookies, but am LOVING IT! Plus dates?! I die. This is perfection. You are a date-in-cookies lover, Leah! Ya gotta add maraschinos to something soon! They’re just so tasty and PRETTY! Is it 1 cup of maraschino cherries? Thank you for catching that, Michele! I fixed the recipe. I meant to go back and fix it once I counted how many it was– much easier than a measurement. It’s 16 cherries, finely chopped. Looks good! Just starting my christmas baking today! SOOO exciting! 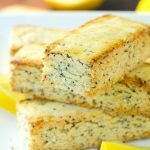 Oh my, Lynn, these look so good! (I think that I always say that about your food though…) I mean they look decadently amazing! Almonds…dates…MARASCHINO cherries? My mouth is watering right. now. I tell you, IM EXCITED! 12 days of cookies sounds like the best thing everrr! 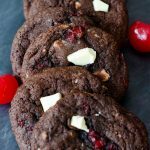 Loving these cherry cookies, I am totally on a cherry kick at the moment! 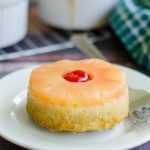 Cherries are SO GOOD in baked goods!! Thanks, Jess! The 12 days of cookies is so much sweeter than the 12 days of Christmas! 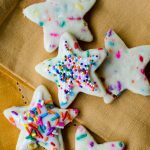 These are so festive, and such an unexpectedly awesome cookie addition to the usual rotation of gingerbread and choc-mint creations. YUM! Can’t wait to see what Friday brings! Thanks, Amy! 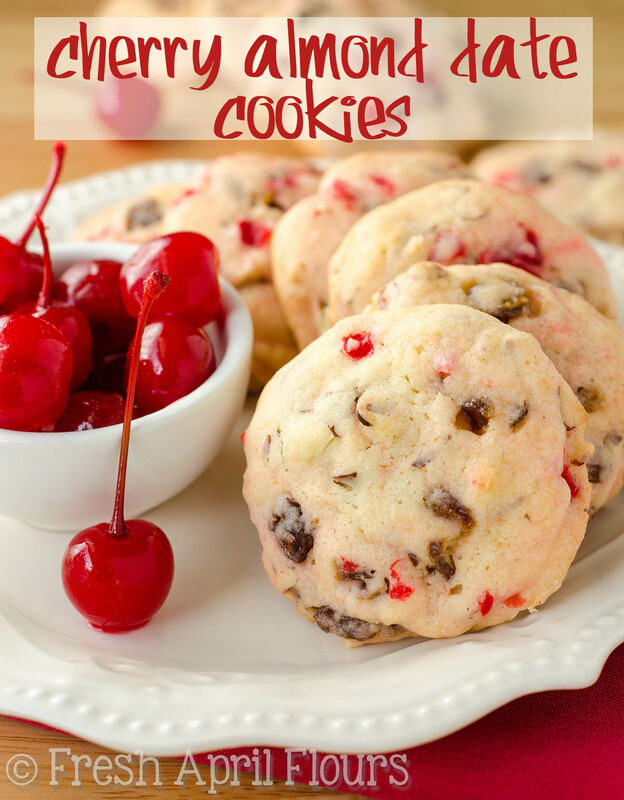 I think I have a pretty good mix of classic, Christmas “flavors,” and anytime cookies!